Sam is one of the founders of Twin River Travel. Sam grew up in Winnipeg, but spent his summers paddling through the lakes of Northwestern Ontario. He was 3 years old when he took his first trip, and hasn't missed a summer since. Outside of canoeing, Sam is also an avid hiker, with highlights including spending 3 weeks hiking through various areas of the Georgian Caucasus, and a week long trek through the Simien Mountains of Ethiopia. Sam's dream paddling trip is the Seal River in Northern Manitoba. Tristan is also a founder of Twin River Travel. He was brought into the world of paddling through family canoe trips as a young child, then got serious and spent 12 years racing sprint kayak. First for his club, then the Manitoban provincial team, and finally spending 2 years on the Canadian national team. He's raced around the world, with a highlight being a gold medal at a world championships race in Poland. On top of his racing experience, Tristan is also an avid traveler. Having been to over 30 countries on 5 different continents. Tristan's dream trip would be motorbiking the length of South America. Liam McKinnon grew up in Regina, where he raced kayaks for the Wascana Racing Canoe Club. He has represented Saskatchewan at the 2013 Canada Games and was also on the Canadian Dragonboat Team in the 2014 World Championships. 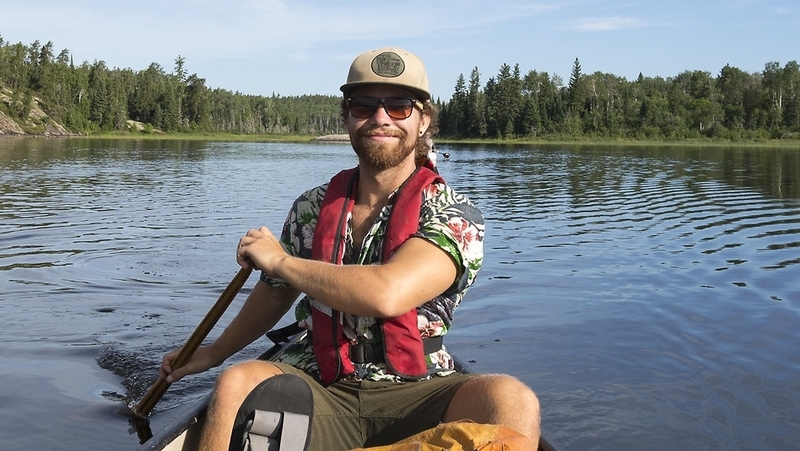 Liam has worked as both a paddling instructor and a geological assistant in remote parts of Northern Saskatchewan, and has previously guided in Ontario’s Algonquin Park. He loves taking road trips around the country and when he’s not guiding, can often be found paddling, biking, hiking and exploring out in the wild. Liam’s dream trip is paddling to, and dune boarding down, the Athabasca Sand Dunes.